What Is A Good Analytical Paragraph? This page is optional for distance learning students but required for lecture students to choose a topic for their argumentive essays. It’s named for the Big Brother (government) information shredder in George Orwell’s dystopian novel, Nineteen Eighty-Four (1949). 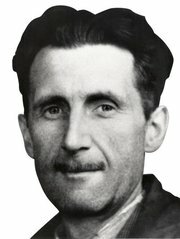 Orwell wrote that “who controls the past controls the future. Who controls the present controls the past.” But our concern here isn’t government censorship of the sort depicted in that book or in these photos from Stalinist Russia of NKVD head-turned-traitor Nikolai Yezhov becoming an “unperson” after being tortured and killed. After all, while conspiracy theorists argue otherwise, we don’t really live in a totalitarian state. Instead, our concern is self-censorship: how citizens across the political spectrum pick and choose which parts of history they want to remember (cherry pick) and which to leave out (flush down the memory hole), clouding context in the process. More often than not, such selective memory is subconscious and attributed only to one’s adversaries. Leftist historian Howard Zinn, for instance, said that the “chief problem in historical honesty isn’t outright lying,” but rather the “omission or de-emphasis of important data.” Many would argue that his own work proves that point better than he may have intended. Such spin-doctoring can take the form of state censorship or propaganda — even democracies with Freedom of Information Acts do their share of redacting with a black magic marker — but, by and large, unlike the totalitarian regime depicted in Orwell’s novel, citizens in democracies mostly shred things in their own memory hole and pick their own cherries. Americans shred and pick in books, posts, articles, blogs, editorials, exhibits, commemorations and celebrations, campaign speeches, re-enactments, and arguments at work “around the water cooler” or home around the dinner table. When Henry Ford complained that “history was bunk,” he didn’t mean that it was boring or unimportant. The problem was that it was “being rewritten every year from a new point of view…so how can anyone claim to know the truth about history?” Such arguments are inescapable and important. Even among people who think they’re not interested in history, their attitudes and beliefs are shaped subconsciously by what they think has gone before. After all, what else do we have to go on? We’re here to get to the bottom of how this selective sampling, “cafeteria” approach to history informs narratives used to support various agendas. The History Hub-Memory Hole is where cherry-picked history comes to die. The list below directs you to interesting and/or controversial topics, many with subtexts informing present-day controversies. The goal here isn’t to avoid contested issues but rather to debate issues that informed people disagree on respectfully and intelligently. Former president George W. Bush put it best when he said, “A great nation does not hide from its history. It faces its flaws and corrects them.” We may not always agree on what are flaws or how to correct them, but we can do a better job debating respectfully and intelligently. The topics below are a springboard in-class lecture students can use for the Argumentative Essay writing assignment. Students in distance learning sections can tap into the links below to get ideas for books they may want to review. Those of you in the lecture courses will pick a contested historical subject from the list below and explain why it remains controversial and relevant to current debates in your Argumentative Essay Guide (above under Syllabi-Guides). In the spirit of Orwell’s Memory Hole, an organizing theme of your paper will be to analyze which points interested parties emphasize and/or play down and why. 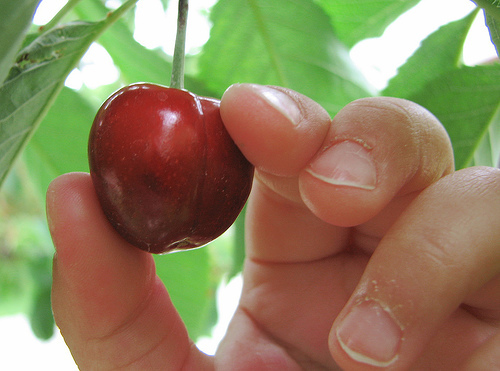 What are they flushing and what are they cherry-picking? How do they utilize common argumentative techniques or commit logical fallacies? For help on these, consult the Rear Defogger page above. The introductory articles below will help set the parameters of a debate, then your next stop will be our Library (above), where you can look at archives of periodicals, textbooks, and data from the reference desk. Then make maximum use of ACC’s excellent library staff. As you run your cursor over the topics below you’ll notice they are linked to articles or encyclopedia entries. The initial link is just intended as a starting off point; it is not comprehensive in any way. You can also ask me for relevant authors. You’ll marshal your own argument and take a measured but strong stance on the given issue. You can come down on either side or somewhere in between. The key is to back up what you think with good arguments and analyze what others play down/ignore (flush) or emphasize (cherry pick). Use the opening paragraph to explain the debate with the best arguments on each side (including what lawyers would call exculpatory evidence). Then, lay out your evidence, with special attention paid to primary sources, also just as a lawyer would in the courtroom. Avoid hearsay, smearing, misrepresenting others’ views, and the sort of general spazzing out that characterizes much of modern cable, radio, social media, and blogging across the political spectrum. Keep your argument historical; don’t let your paper degenerate into mere commentary on present-day opinions. You will not be graded based on which side you choose of any debate, but rather the soundness of your argument. Who Were the First Americans? Question Concerns Paleo-Americans, Not Columbus, Vikings, etc. What Motivates and Sustains the Pseudo-Historical Irish Slavery Meme? Were the Colonies Worse Off Under British Rule ca. 1775 Than Today’s U.S. Territories? Was Federalism (a Nation w. States) the Best Setup? Was the 1798 Sedition Act Really a Violation of the First Amendment? What Can Midwife Martha Ballard’s Diary Tell Us About Life in Frontier America? Should Polygamy Be Protected Under the 1st Amendment? Brief From Reynolds v. U.S.
Did Admiral Perry Visit Japan in Peace in 1853? How Much Compensation Did Lincoln Offer the South For Slaves, If Any? Did Lincoln Ever Follow Through On Order 252? Who Understood the U.S. Civil War Better, Karl Marx or Jefferson Davis? Is Taking Down Confederate Statues Re-Writing History Or Were They Erected to Re-Write History? Who is to Blame For the Escalation of the Colorado Coalfield War? Was the Stock Market Crash the Primary (Main) Cause of the Great Depression? Did Hawley-Smoot (Protectionism) Really Worsen the Great Depression? How Should America Reform Social Security? How Threatening Was Japan Militarily To The Mainland U.S.? How Close Was Japan to Surrendering by Potsdam (July 1945)? Should the U.S. Have Tapped Nazi Talent in Operation Paperclip? Did Eisenhower Miss A Chance To End the Cold War in 1953? What Are the Historical Origins of Mandate Health Insurance (aka ACA or Obamacare)? Does Requiring Voter ID Violate the 15th Amendment? U.S. & Rome: Decline & Fall? Should the U.S. Abandon NATO? Should NATO Abandon Eastern Europe? Are Today’s U.S. Territories Better Off Than The British Colonies ca. 1775? *Rely heavily on primary sources for this project. ** & ***Don’t let this degenerate into a simple-minded sounding board for or against guns in the present day; roll up your sleeves and do historical research. Wrestle with Saul Cornell’s thesis and consider how the 2nd was incorporated with the 14th Amendment. Make sure to consider the 1790 Pennsylvania Constitution, Madison’s early drafts for the 2nd Amendment, the entire text of Madison’s Federalist #46, and key cases like Heller v. D.C. (2008) & McDonald v. Chicago (2010). ****These first two questions connect to debates concerning the curriculum of Texas public schools and the impact of Texas on textbook debates nationwide. emphasize and flush down the memory hole? Another source for ideas is Intelligence² Debates. These hour-and-half public forums cover modern debates, which you could weigh in on by researching their historical background. Start with their library of articles. You can also examine Texas Textbook Controversies. the College Board and Republican National Committee, or RNC. Another option is to consider in detail how some group or individual has taken a stand in history. Why were they effective or ineffective? What can be learned from their efforts?For guidelines on this approach, consult this NHD list and pick a topic from American history that connects to your appropriate 1301 or 1302 section. Yet another option is to find a historical (not present-day) subtopic or narrower case study that fits into the framework of any of these topics. Talk to me about narrowing down to a good historical question before proceeding. 1. How should society balance the need for liberty and tolerance with the need to protect itself? 2. How powerful should the national government be? 4. Do women have equal treatment under the law? 5. How should Americans treat the land? 6. Has industrialization produced more benefits than problems? 7. Should the U.S. pursue a foreign policy of isolationism or interventionism? 8. What should the nation’s immigration policy be? 9. To what extent is the federal government responsible for the welfare and security of the individual? 10. Is civil disobedience ever justified as a means for political change? 11. What are the limits of free speech? 12. How much should the nation invest in defense? *With more recent 1302 topics, make your essay historical. What light does history shed on the topic?